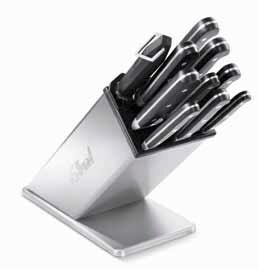 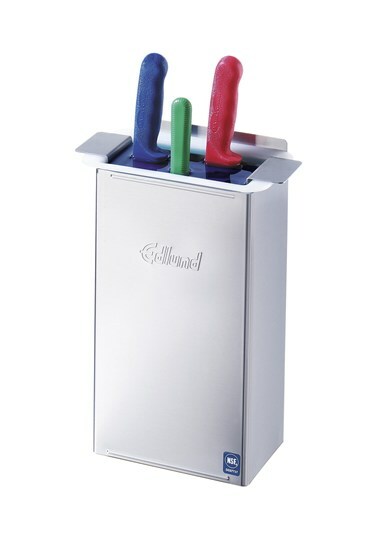 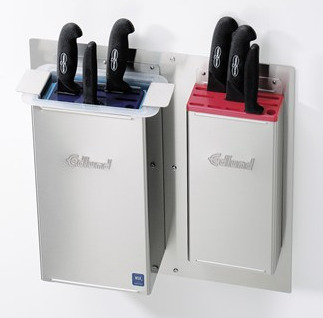 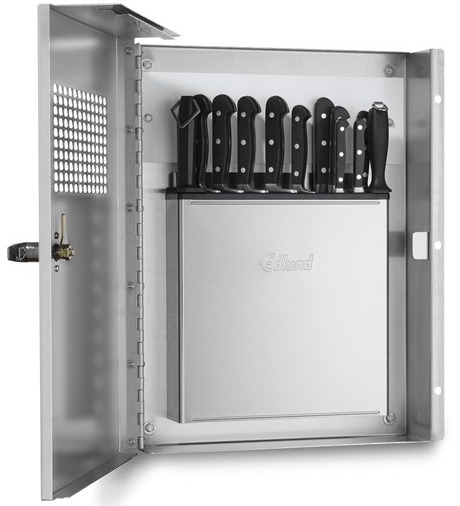 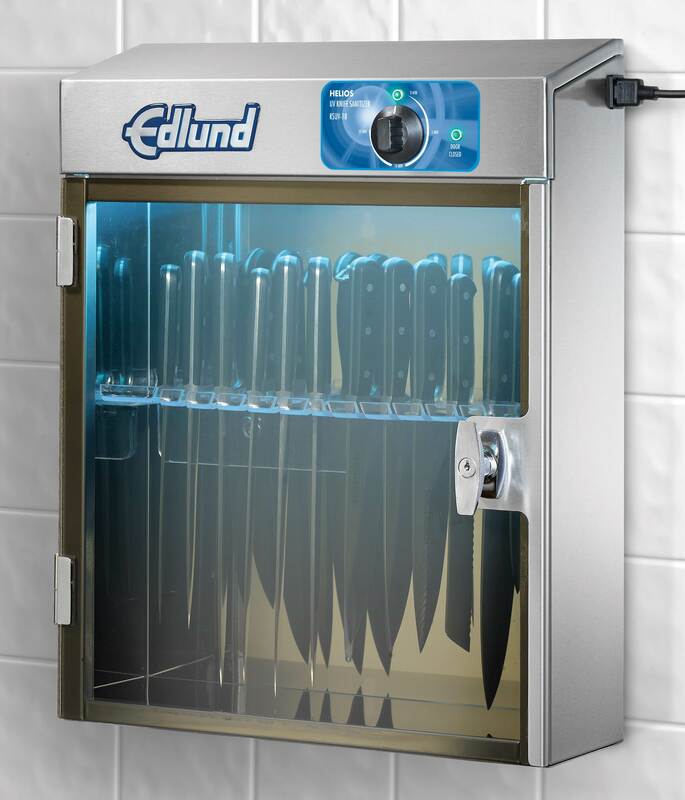 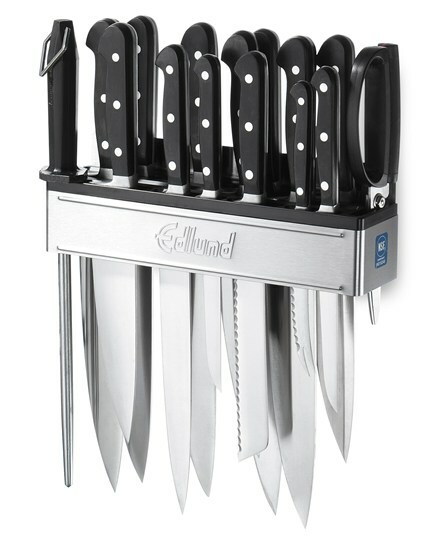 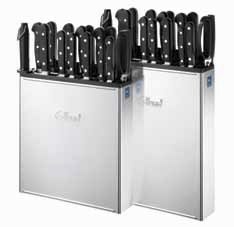 Edlund Edlund's new Knife Steriliser Cabinet provides superior sterilisation compared to other methods or products using magnetic bars or metal racks to secure the knives. 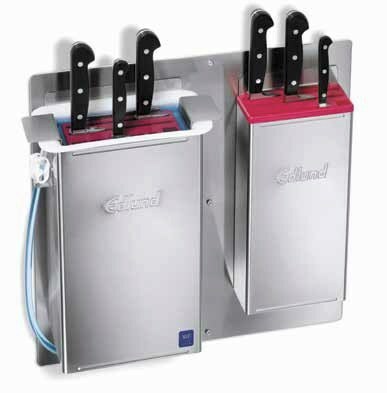 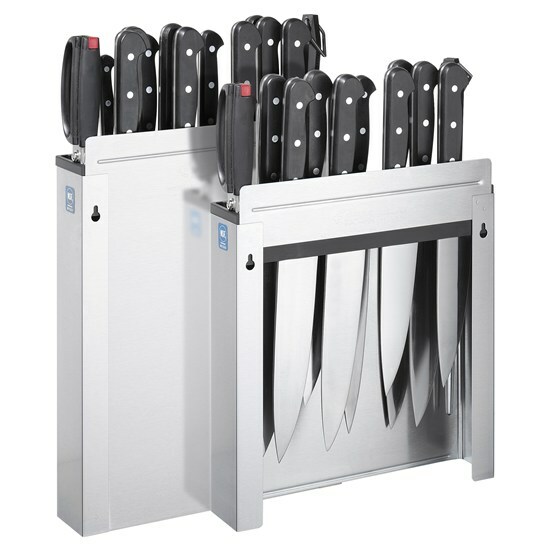 Our exclusive non-ﬁltering clear slotted knife holder and special mirrored interior walls eliminate shadows on knife surfaces within the cabinet that could prevent complete sterilisation. 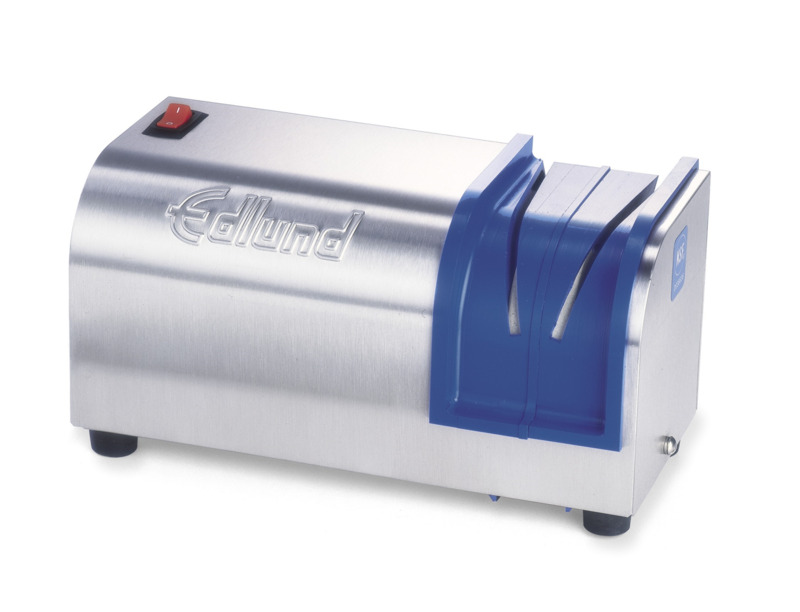 The easy to operate mechanical timer can be set for up to 15 minutes, but the KSUV-18 will safely sterilise your knifes in as little as 3 minutes with 99% efﬁcacy (Independent laboratory testing indicated 99% reduction in E.Coli bacteria).